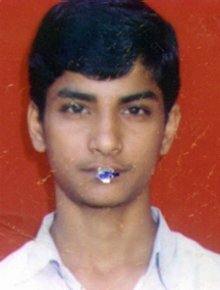 He went to attend tution classes at Niranki Colony but did not return. He was last seen wearing white T-shirt, red track suit pants and hawaii chappals. Identification Marks Marks on the forehead behind the knee of left leg. Other Information He is a student of class X. He is soft spoken and has good knowledge of English.